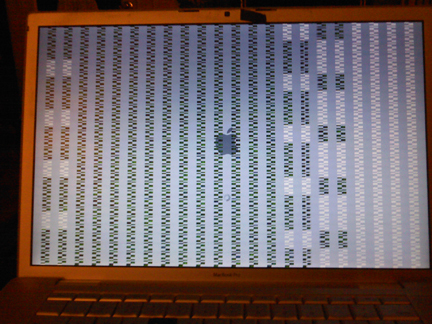 Was working on Macbook Pro when screen went weird. (See image 0150325screena) Tried restarting but it wouldn't boot up. Left it off overnight. Next day it started fine. Edited by Caliburn, 29 March 2015 - 07:17 AM. 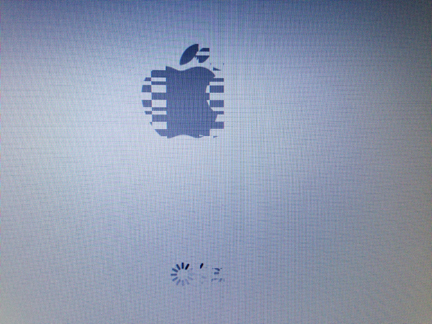 The second pic is called a 'kernel panic.' That happened to my Mb Pro. The term is accurate cuz I did panic when I saw it. It was a while ago and I do not remember the fix but you could look up that term.